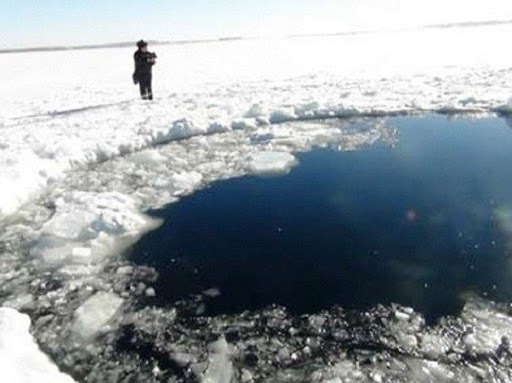 Rocky pieces were located on the edge of the frozen lake Chebarkul.Particle analysis enabled to identify a celestial body. 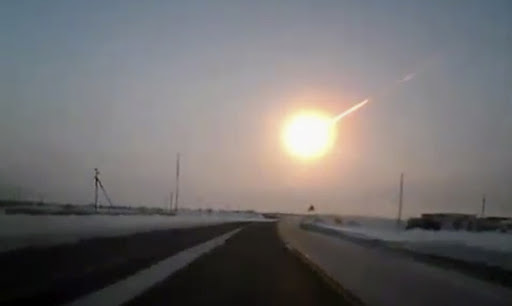 Scientists at Federal University Urals in Russia, said on Sunday (17) to the Russian news agency “Ria Novosti” that fragments found in Lake Chebarkul in the Chelyabinsk region, are of a meteorite that fell on Friday (15) in the country, leaving more than a thousand people injured, hit by splinters of glass that broke with the passage of a celestial body. 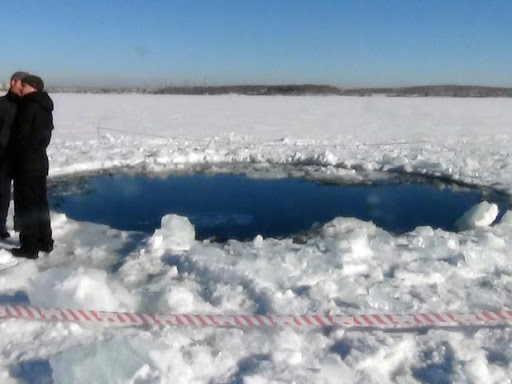 The meteorite that fell on Friday, 15, in the region of Chelyabinsk left its mark on the frozen surface of the lake from the small town of Chebarkul. 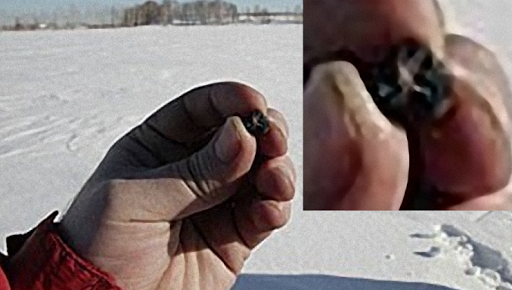 Around the hole of circular form were found pieces of dark material to not more than one centimeter in diameter, which were collected for study. 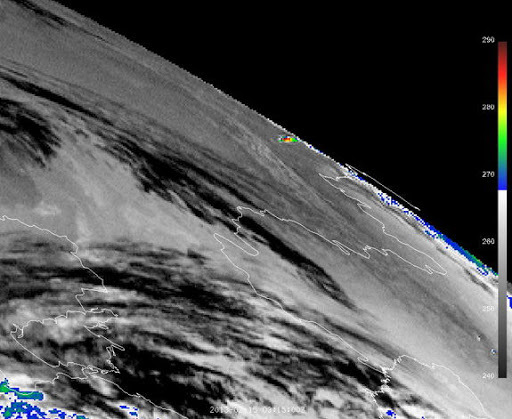 The heavenly body that was designed on Russia, according to scientists, part of a large meteorite that broke up when entering the Earth’s atmosphere. 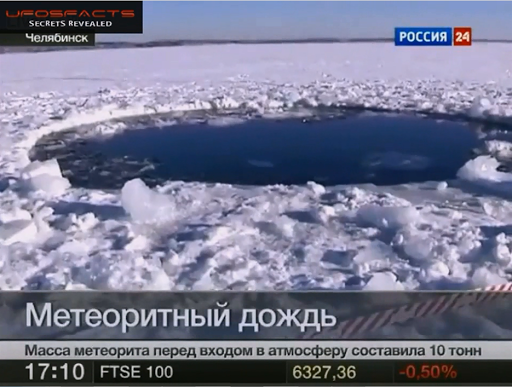 Russian news disseminating the news that the crater caused by the impact of the meteor that crashed this morning in Russia, was found by local authorities. 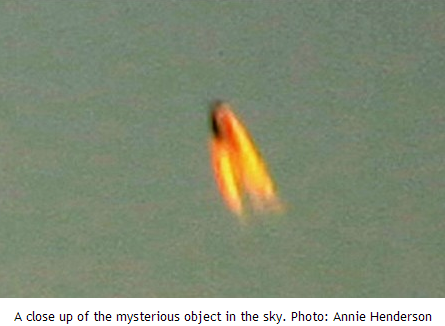 Compilation of all images taken from security cameras, cars, mobiles, condos, traffic, etc. 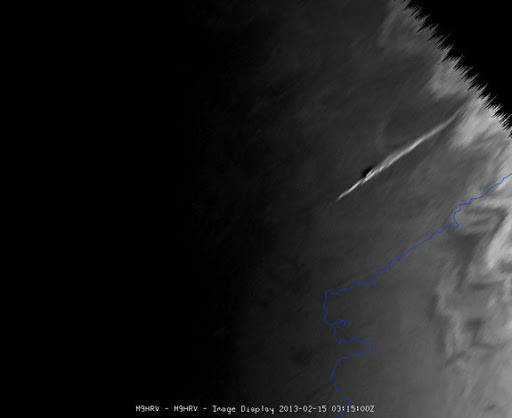 .. see all angles of the stunning images of the fall of the meteorite in Russia. 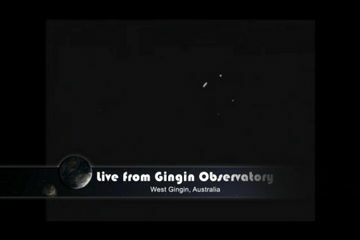 See also the moment of “Sonic Bang” caused by the entry into our atmosphere. 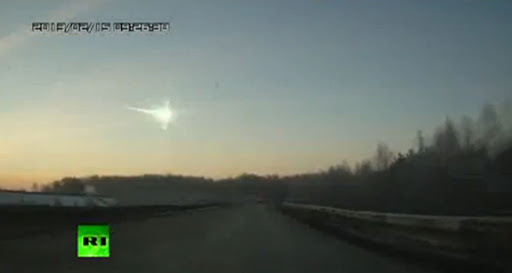 Meteorite Crash In Urals region, Russia from UFOS Facts on Vimeo.